← Having A Word With Myself. I think there is something about sharing your darkest secrets with the wider world that makes people trust you and feel comfortable sharing their own stories with you. As a result my head is spinning a bit. I have already learned so much in the two short weeks since I started this blog. I’ve received messages from people I’ve not seen for years, telling me about their struggles with depression, and messages of encouragement from mental health professionals congratulating me for my honesty and advocacy. This means more to me than I can articulate. It’s been a scary, scary process so far. Two weeks ago not even my dad knew about my depression and neither did some of my very closest friends. Everyone has been incredibly supportive, but still I admit I’ve questioned myself. I have a terrible habit of reading in to things that people say and imagining hidden messages that usually aren’t there. For example, one very dear friend asked me via text message how I felt about my story being “out there in the wider facebook world”. Her message was of genuine concern for me, having recently found out things about me that had previously been unknown to her. She was worried that I was feeling regretful. However, my mind started racing and my imagination went in to overdrive. Does she think I’m over-sharing? Are people talking about me or criticising me for putting so much “out there”? Does she think I’m doing the wrong thing? Am I doing the wrong thing? What have I done? This was absolutely my own self-doubt rearing it’s ugly head. The point I’m making is this: Even though written and statistical evidence support the fact that lots of people have been helped by this blog (it’s now had over three thousand views in under two weeks), this is still a very scary thing to do. Particularly for someone prone to anxiety. I don’t take compliments well and I have a hard time in believing nice things people say about me. There is a technical term for this that I learned during my Cognitive Behavioural Therapy (CBT) and it’s called Mind Reading, or assuming you know what people think without having sufficient evidence of their thoughts. For me, it’s not enough to just share my story in the hope that other mums like me will know that they’re not alone. Reminding mums that they’re not the only ones feeling like proverbial swans on a lake, seemingly gliding along on the surface whilst underneath kicking and thrashing about to stay afloat is all well and good. There must be something I can do to encourage other mums, above and beyond sharing my own (mis)adventures in parenting. I’ve given this a lot of thought and there will be more than one post on this topic. But first I’d like to cast my mind back four years. In my old life, I used to have a pretty high profile job negotiating advertising contracts for a national newspaper. I was responsible for bringing in tens of millions of pounds a year in revenue. It was a big responsibility. But I had a manager, she had a manger, he had a manager and his manager reported in to the City. Everyone was accountable to someone. We had regular one-to-one meetings and appraisals and knew in no uncertain terms whether or not our performance was up to scratch. Move on four years, and I find myself doing the most important job in the world, raising two small children. But I have no boss (well, actually, my son often feels very much like the Boss of Me but that’s not the point!). I don’t have regular appraisals (I know the health visitors are there if you need them but I stopped paying attention to them when they told me to limit my son’s carbohydrate intake when he was seven months old). 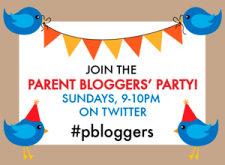 As mums, we’re only really answerable to ourselves, and we’re our own worst critics. Rightly or wrongly, other mums are the benchmark for how well I feel I’m doing as a parent. My husband or mum may tell me they think I’m doing a good job, but in my mind they’re obligated to say that. It’s in their job description. (There’s a CBT term for this, too actually. It’s called Discounting Positives, or dismissing positive things as trivial). Now luckily for me, and as I’ve said before, I have a very supportive group of friends. We are usually pretty honest when it comes to the highs and lows of raising babies and toddlers and we don’t feel the need to compete with one another. With this in mind many of them seemed hurt that I hadn’t told them about my PND at the time I was going through it. The reason I held back wasn’t that I didn’t trust them, far from it. I didn’t tell them because I knew them well enough to know the words of comfort they would offer, I knew what they’d say and I knew they were right. It just wouldn’t have made any difference to me at that very low point in my life. I couldn’t really believe anything complimentary that my friends might have said to me. I discounted their positives without even hearing them. My point is this: We may believe we know someone, but deep down, we never really know what’s going on behind the scenes. The mum who you think has it all together may well be falling apart at the seams and feel completely unable to discuss it with anyone. But what can we do? How can we make a difference? The best bosses I ever had in my media career were those who asked for input from their teams and gave feedback on a job well done. And yet, the majority of comments I’ve had so far on this blogging adventure have been from mums who feel inferior to other mums, who feel in competition, who feel they are judged by their peers on every parenting choice they make. Now this? This we can do something about. This is where we can affect change. If you see a mum who’s managed to make it out of Tesco’s with shopping done and sanity seemingly intact, what’s to stop you saying “Nice work there, sister! Last time I tried to do the shopping with my kids in tow I aborted the mission and contemplated abandoning my children along with the shopping trolley. I take my hat off to you. Well done!” ? Conversely, when the mama with the screaming kids in the supermarket is, for once, not you, a friendly smile or words to the effect of “we’ve all been there, love, don’t worry” could well go such a long way in helping her to survive her ordeal. I’d argue that random words or encouragement from strangers are just as valuable as praise from those who know you well. And remember, we don’t know what’s going on under the surface of even the most immaculately made-up face. I genuinely believe that if we were more confident in our abilities as mothers and less focussed on our insecurities we’d be able to brush off some of the more tactless comments we’re regularly bombarded with. I think it’s our lack of confidence in ourselves that cause us to find hidden meanings in otherwise harmless comments from our peers. I think if we focus on praising our fellow mums by giving credit where it’s due we can go a long way in remembering that we’re all in this together. We’re all fighting our own individual battles and we could be lightening each other’s loads. I bet you can think of countless mums that you admire for different reasons. But do they know this? Could it be that whilst you’re comparing your insides with her outsides, she’s doing the same and finding herself to be lacking? This whole paragraph was a revelation to me. It had never occurred to me during those early days that anyone would look at me and see anything worth looking up to. But there it is, in black and white. Who knew? I wonder if having this knowledge would have made a difference to me when depression hit two years later with the birth of my second daughter? Impossible to say. But we’re not just talking about me here. I genuinely think that almost every mum could benefit from a bit of encouragement now and then from her peers. That by consciously making the effort to support one another with kind words, we can help culture an environment of solidarity rather than competition. “An older lady stopped me in the hospital toilets to tell me that my son (age 6) was a lovely spoken, polite little boy. It feels lovely when it’s a stranger telling you rather than somebody you know (although that’s still nice too)”. I hope you’ve got examples of lovely compliments that you’ve been paid. I hope that you’re able to accept genuine words of support and encouragement and not discount them. I hope more than anything, that in reading this article, you’re formulating a mental list of women you know who deserve a pat on the back and some recognition for the incredibly important and often hard job we’re all doing our best at. A psychological pay-rise, if you will. So with this post I’m setting you some homework. Please go out in the world and practice some Mummy Kindness today, and come back here to the comments section to tell me and your fellow readers how it felt to make someone else’s day. Love it Rachel. Well done you and couldn’t agree more. I do try to compliment where I can; you are right – it makes a massive difference to how people feel and can turn a bad day into a good one. Earlier this week, I told one of my daughter’s nursery workers who is pregnant that she looked great – which she did. She literally almost started crying and said that was the nicest thing anyone had said for ages. So many of us can feel really self-conscious or even down about things in pregnancy – I think it is never too early in the motherhood cycle to start handing out the compliments! It’s just a shame that the girl at your nursery wasn’t more used to compliments and that there aren’t more lovely women like you around, K.
I recently went up to a dad to thank him for his son’s behaviour towards my daughter. When I asked him if the boy in question was his son, he looked wary, but once I thanked him and explained what his son had done, he was delighted……he said that he thought the boy had been naughty and had never received a compliment before. It made my day and I’m certainly all for finding things to compliment parents on. I’m thoroughly enjoying reading your blog.. The way you write it makes one want to keep reading..
Beautiful. Truly beautiful. I feel the same way. I started a blog a year ago about my commitment to not yell at my 4 boys for a year straight. For 350 days I have bared my soul to help myself but also to help others to realize that they are not alone and that we are all in this together to support and learn from each other. Many a time I have needed the mommy kindness you speak of and have received it. Forever grateful. But recently on day 350 ish I experienced mommy meanness. My personal struggles and my children’s were attacked. It hurt. It still hurts. Reading your post reminded me there are still beautiful loving people out there. Thank you. And keep it up! Wonderful post – such a great reminder that we are responsible for one another! Thank you for sharing and for thinking so deeply! Another wonderful post. I feel as if you are writing my thoughts down. I try and make an effort regularly to compliment women either on their children or themselves. We don’t do it enough. Recently a woman who was with her own son and husband stopped me as my family and i were just about to leave the restaurant and said “you have beautiful and well behaved children, what a lovely family”. I was SO flattered and SO balled over (and slightly beetroot in colour). It really does make you feel proud. As you know I also suffered with PND and its those small words that make the years of guilt gradually get replaced with positivity and confidence. Keep up the good work!! 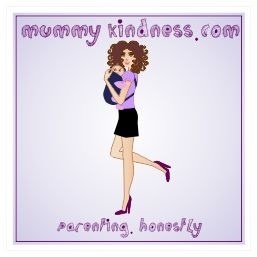 Your blog is wonderfully honest and inspiring and helps to break the motherhood conspiracy perpetuated by women… This is the reason why I set up my counselling business ‘mindandbaby’ ( see website above) after my own difficult journey. Your experience is far from unique ; perhaps sometime you will come and share your story with the new parents at my group? This post is amazing. I appreciate your honesty. I’m currently experiencing a tough relationship with a fellow mummy who I’ve been friends with for years. It’s tough and heart-breaking. 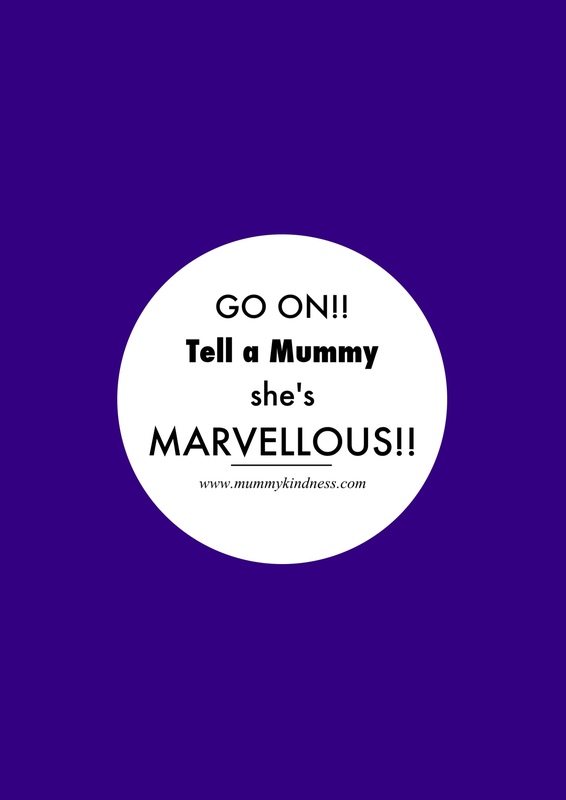 The mummy world is tough and I’ve definitely struggled and I’ve written a few posts on it. Thank you for your honesty and strength. I am not a mommy, but I could relate to so much of this. I suffer from anxiety and depression. Discounting Positives and Mind Reading? Yep and yep. I do those too. “I didn’t tell them because I knew them well enough to know the words of comfort they would offer, I knew what they’d say and I knew they were right. It just wouldn’t have made any difference to me at that very low point in my life. I couldn’t really believe anything complimentary that my friends might have said to me.” EXACTLY! I think it is courageous and amazing that you are putting your story out there and helping so many. It certainly helps me to know I’m not alone. Thanks for linking up! Thank you! It really means a lot to me that this blog helps people. I really appreciate your taking the time to read it and comment, and thanks for giving me the chance to share on your page! This is great ‘homework’ for mums and non-mums alike. Being kinder than necessary out in the world helps everyone. I know when my child is losing it in the grocery store or whatnot I really, really appreciate words of sympathy and a smile. Great post and great idea! Thanks for sharing this Rachel. This is so where I’m at this year… In fact, I commented on earlier on a post and that comment links back to my other blog, Honest Speaks, on which there will be a post on more general random acts of kindness/paying it forward later this month (It’s due to go up on Valentine’s Day!). I will be sure to post any mummy kindness RAKs/PIF acts on Mothering Mushroom too, and link them back here! I too suffered from depression on and off before I had Mushroom, but was lucky enough to study NLP (not entirely dissimilar from CBT) before I had him, which helped with the mind reading etc!